Gummybear International Gives Away Gummibär (The Gummy Bear) Character Themed Easter Baskets To Two Lucky Winners - Gummybear International Inc. 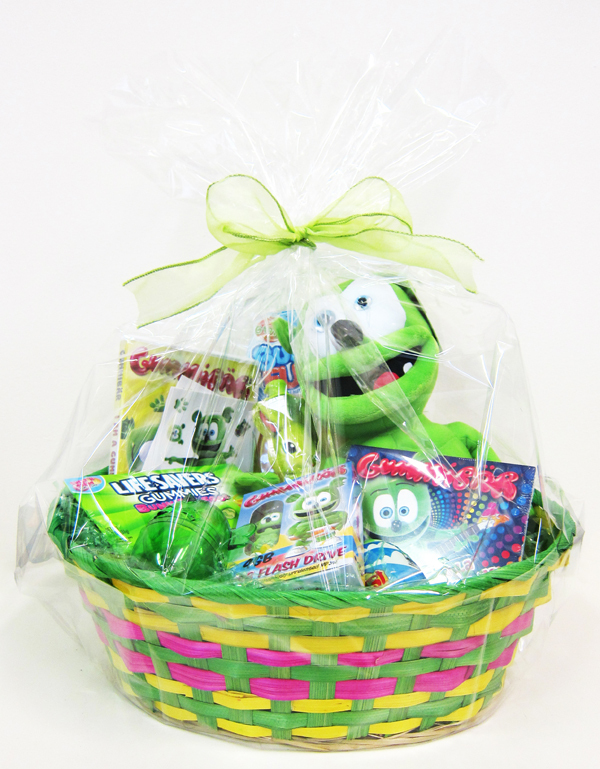 The announcement was made on http://www.gummibar.net (the official website of the lovable, singing and dancing, animated green gummy bear character, Gummibär) that they will be giving away Easter baskets full of merchandise as part of a new fan give-away. Two lucky winners will be selected at random on April 2nd, 2012 to receive an Easter basket filled with a Gummibär plush toy, DVD, CDs, USB Flash Drive, Stickers, candy and other treats. The Gummibär merchandise in each basket is valued at over $60. The only requirement for eligibility is to become a subscriber of the official Gummibär Newsletter before 12:00 PM EST on April 2nd. All newsletter subscribers are automatically entered into the random drawing. Winners will be notified by email. I would of love to get it for my soon turning 1yr.